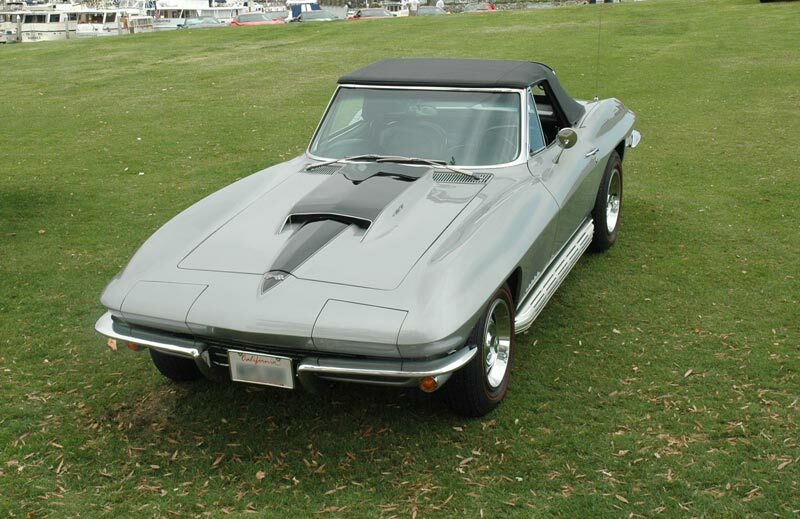 1967 was the last year of the "mid year" C2 Corvette Stingrays, as the 1963 through 1967 models were known. The styling that shook the world in 1963 had proved itself everywhere, including critical praise and a sales volume that would not quit. Every model year saw a sales increase through 1966; Things cooled down for 1967 in part because it was known that a new body style would be introduced in 1968. Left: the popular L71 427 cu. in. motor. 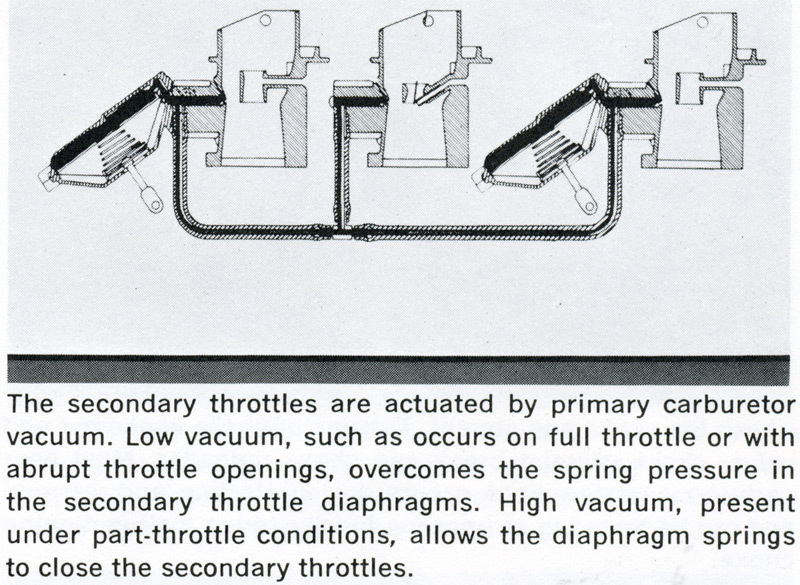 Note the use of shielded spark plug wires, used to reduce radio static. Resistive spark plugs were commonly used in most cars but they degraded engine performance so the more expensive shielding was used. 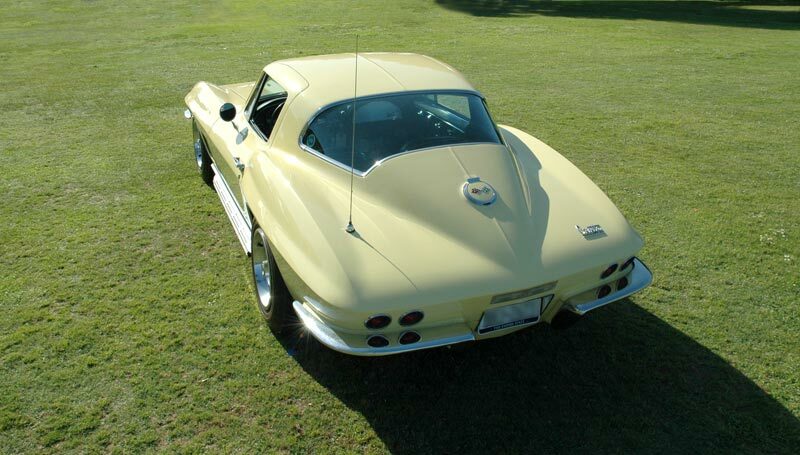 Radio static was a common Corvette problem as the fiberglass body did not provide electrical shielding of a conventional steel body. 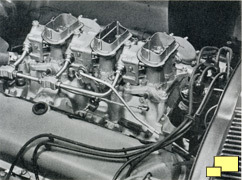 Right: the 3 x 2 configuration (three 2 bbl. 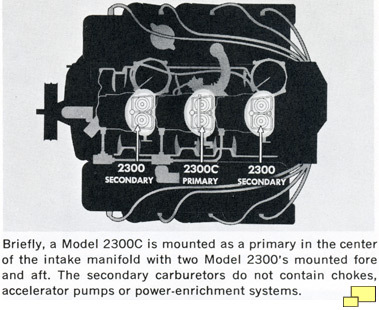 carburetors) was proudly announced on the triangular air filter housing. 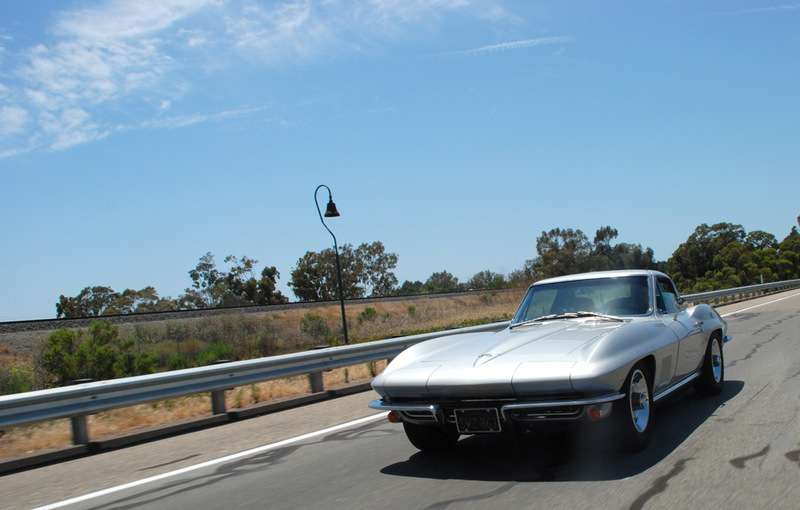 Right: 1967 Corvette Stingray with big block L71 motor. The "Y" plumbing in front of the valve cover is part of the Air Injection Reactor which was an option (RPO K19, $44.75) required on all Corvettes sold in California. 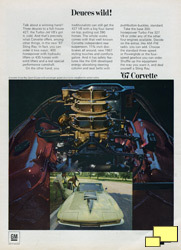 It was included on 2,573 or 11.2% of the 1967 Corvettes. 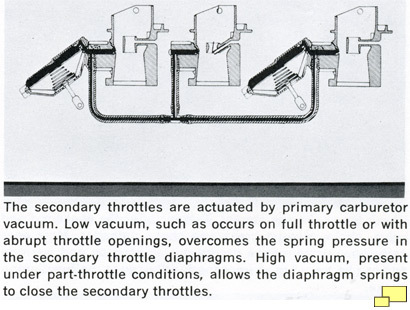 Notice the air pump just ahead of the thermostat housing. 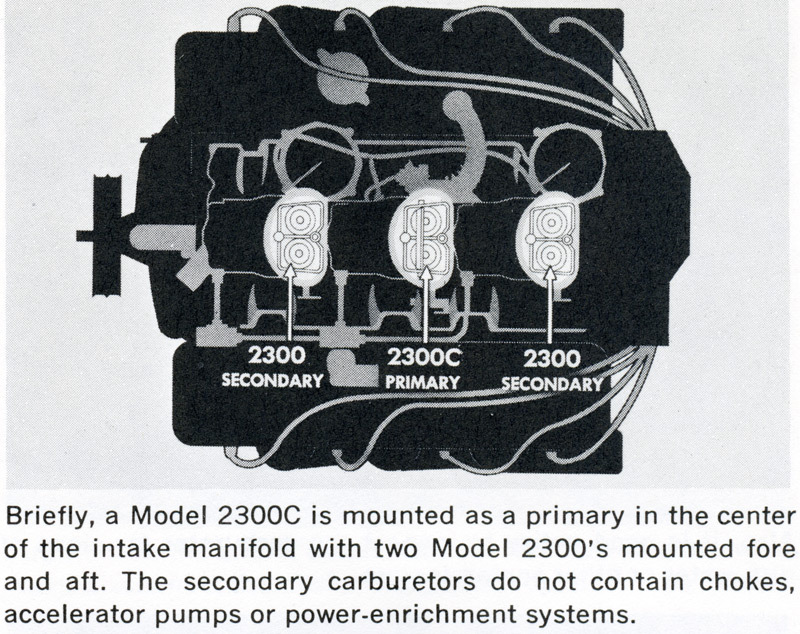 From the "1967 Chevrolet External Carb Adjustments" (below and right) which details the workings and maintenance for the three Holley two barrel carburetors found in the L68 and L71 engined 1967 Corvettes. Click here to download the complete brochure. 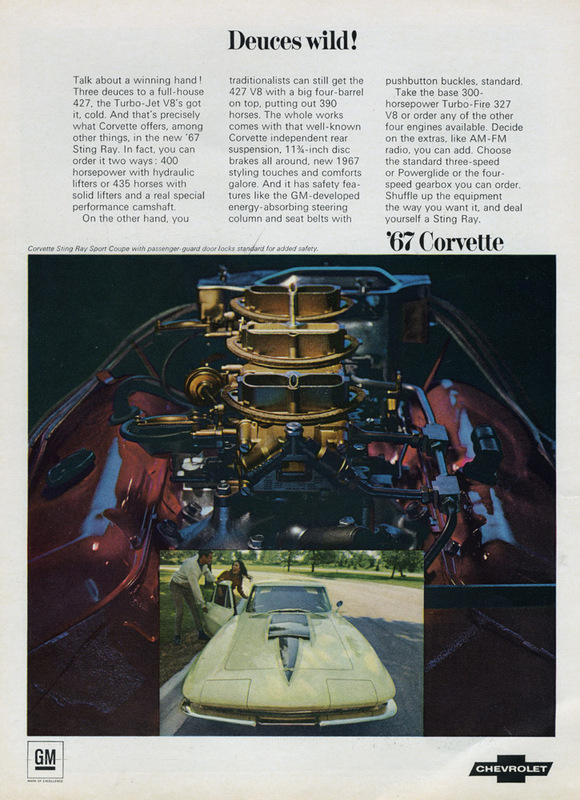 Big blocks continued to be the way to go for Corvette purchasers in 1967; of the five engine options available, four were 427 cu. in. displacement. 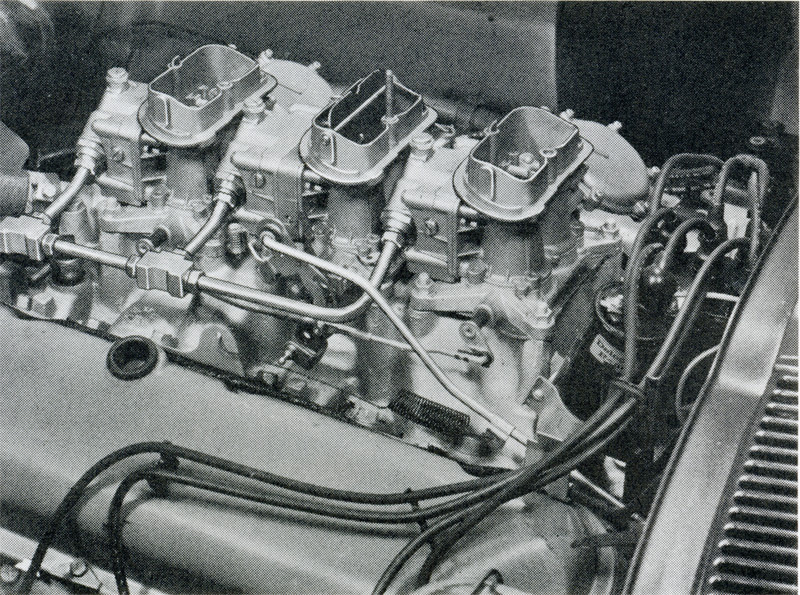 Multiple carburetors were the secret on the L68 (400 hp, production quantity: 2,101 (9.16%), $306) and L71 (435 hp, production quantity: 3,754 (16.36%),	$437) motors. They had been used with great success in the Pontiac GTO but a GM corporate ban caused them to disappear from the Pontiac. 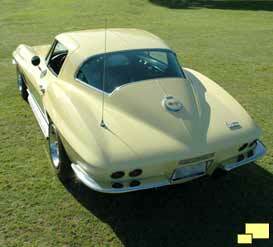 Corvette was exempted however and three 2 bbl. 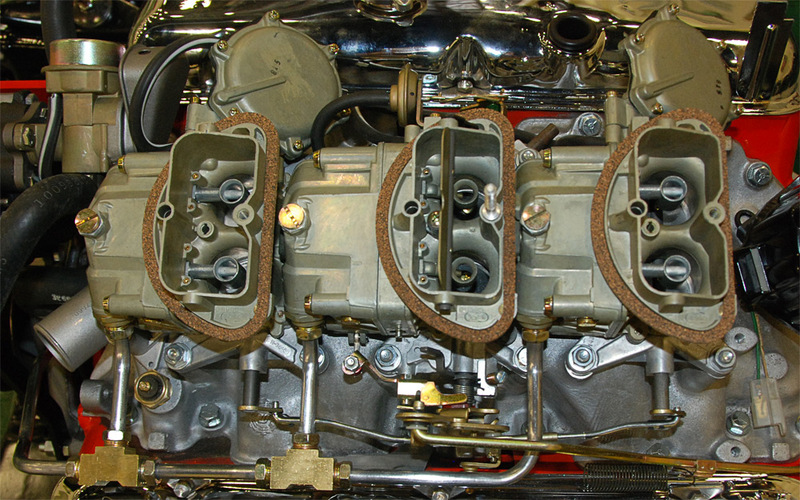 Holly carburetors (below) were mounted on top of a aluminum manifold. 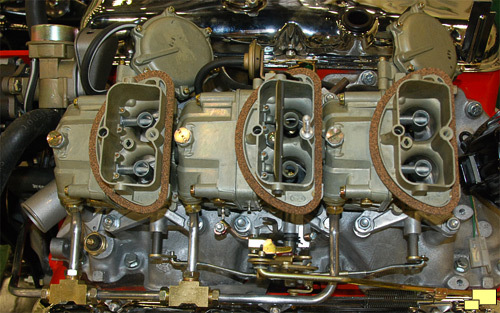 The center carb was used in normal operation; above 2000 RPM the front and rear units kicked in. 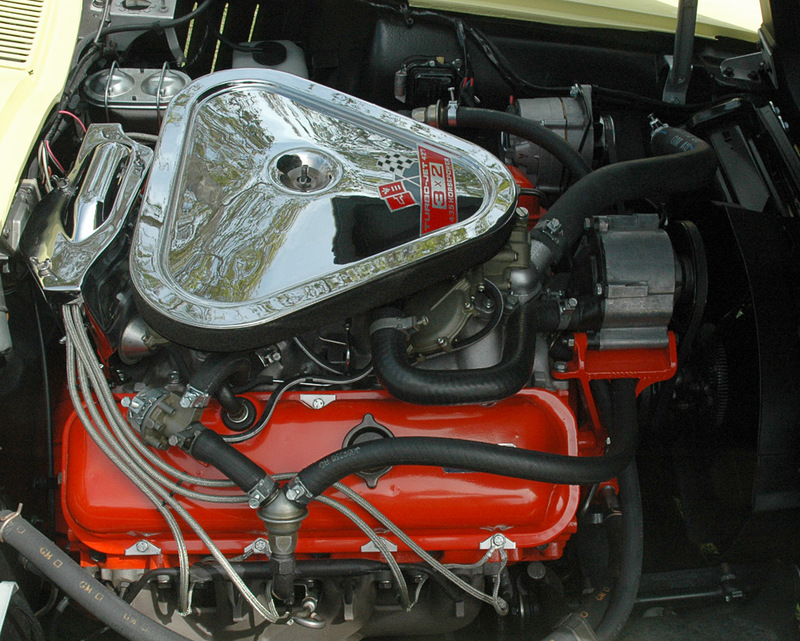 Good fuel economy was part of the bargain since only one carburetor was in use most of the time. 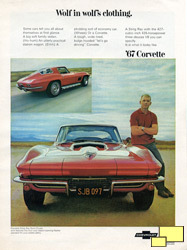 Print ads for the 1967 Corvette Stingray. 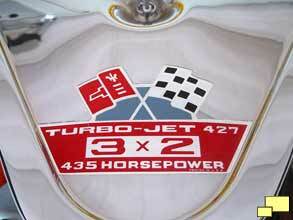 Notice how all three mentioned the 435 hp L71 engine. 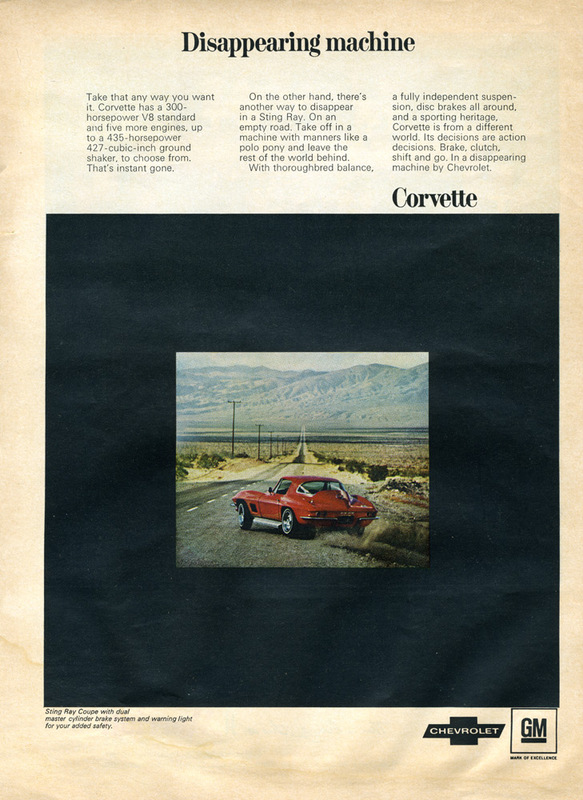 Apparently the GM marketing folks had some ideas as to what would get their customers excited. Notes: Base Corvette Coupe with 327 cu. in. 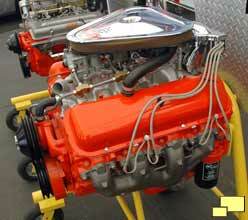 300 hp engine and three speed manual transmission: $4,388.00. 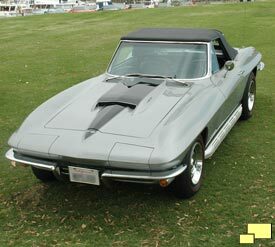 Base Corvette Convertible with 327 cu. in. 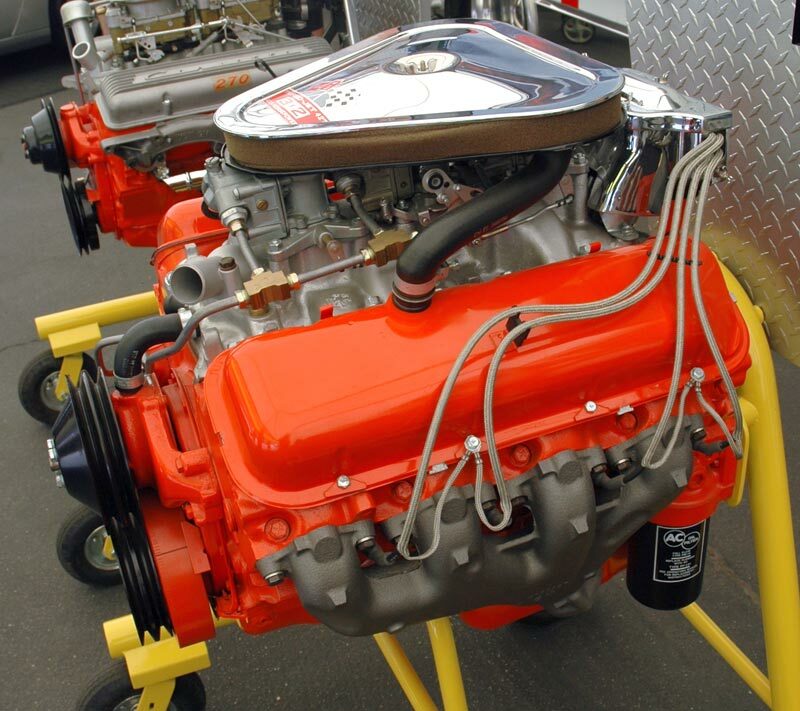 300 hp engine and three speed manual transmission: $4,240.00.